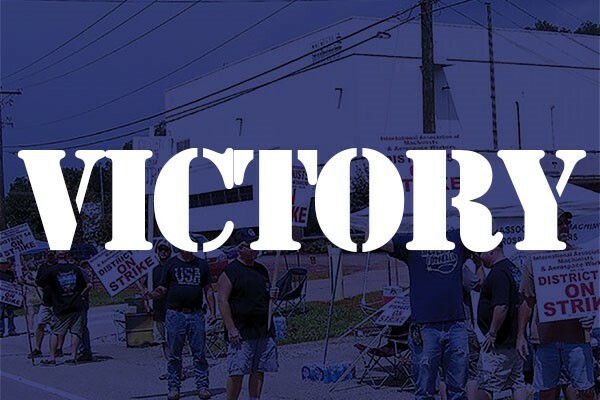 Members of IAM Local 1471 in McConnelsville, OH voted to accept a new agreement from Mahle Engine Components late Wednesday night, bringing an end to the 10 day strike. The engine component manufacturing workers overwhelmingly rejected a previous offer, going on strike August 20. A main point of contention was language regarding the plant reduction of workforce. The prior agreement provided protections for any layoff or shutdown. The company proposed language that would allow shutdowns and layoffs without notification for periods of less than a week. Other issues included wages and contributions to the IAM National Pension Plan. IAM Negotiators returned to the table along with a federal mediator and were able to secure an acceptable agreement. The negotiating committee was able to secure improvements to existing vacation, while holding the line on wages and pension contributions. Just as important, negotiators were able to achieve company-paid health care benefits reinstated retroactively to the date the work stoppage began, and COBRA reimbursements to employees who were forced to purchase health care benefits.